We were spurred on by people in our lives who had said in one shape or form, ‘You can’t do this,’ or ‘You have to be realistic,’ and we just thought, ‘Steven Spielberg once made his first movie; he started somewhere. So why can’t we do it?’” If you think Sid Sadowskyj sounds ambitious when referring to his first filmmaking venture with best friend and business partner Scott Elliott, you’d be right. For Scott and Sid, the filmmaking partnership behind a new semi-autobiographical movie titled – you guessed it – Scott and Sid, ambition is in no short supply. The pair met at school when they were 15 and immediately began inspiring each other to defy expectations and overcome the limitations they saw around them. A can-do attitude and cheeky-chancer spirit buoy this almost-meta indie film. It tells the fictionalised tale of how writer/directors Scott Elliott and Sid Sadowskyj went from school friends to entrepreneurs on the path to their dream of becoming filmmakers. 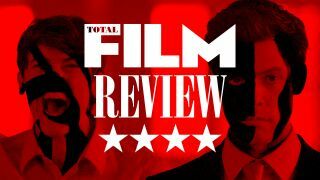 Strong performances by Richard Mason and Tom Blyth elevate the script beyond self-indulgence for a good-natured comedy-drama. They embarked on a series of successful businesses together, from cleaning ovens to establishing a full-time events management company while still in their teens, before going on to set up their own media company, which they eventually sold in order to travel the world... at the age of 25. And all of this was planned with one ultimate aspiration in mind: to one day make a film. Now they have made it. Literally. Scott and Sid is the realisation of that whole journey, telling the fictionalised story of their adventures along the way to achieving their aim of becoming filmmakers, fulfilling the list of goals they first wrote together – both on the screen and in real life – while at school. Examining the friendship between the withdrawn, reflective Sid and the rebellious, risk-taking Scott, the film sees them pitted as much against their own self-doubt as the gangsters and loan sharks they encounter along the way. And it’s all based on real events. This idea of inspiration is a key theme surrounding the project, whether it is Scott and Sid inspiring each other, or the two filmmakers now planning to take the finished film on a tour to young people from disadvantaged backgrounds, trying to spark a new generation of dreamchasers. But what inspired them to set their sights on filmmaking in the first place? All of which is obviously a good deal easier said than done, particularly when it came to securing investment. Rather shrewdly, the pair managed to get financing by reaching out to kindred spirits, finding self-made investors who could see the spirit of what the film was about and relate to the message in it. Why was it so important to you both to make a film? SS: From a young age, Scott and I were just obsessed with films. To make one just seemed like the impossible dream. We thought let’s just go for it, and if we fail, we fail, but we’re going to fail at something that we really want to do. How did you learn to make a film with no experience? SS: In terms of our approach, we’d look at YouTube videos and we’d watch movies. We had realised that we had so much experience from seeing so many films. SE: We were influenced by loads of films. When you first see Scott and Sid in the film I remember thinking, ‘How do I get across these two different characters very quickly?’ and I looked to Thelma and Louise. And Forrest Gump too. I liked the top scene where he’s on the bench and I tried to do something similar where Scott and Sid are in a taxi. Once you’re in the process, you’re pulling bits from all sorts of places. What was it like to cast yourselves? SE: I never saw them as me or Sid. To this day, I don’t. They’re two characters. When I was writing the film, the character Scott was very childlike – when he saw a table he wouldn’t sit at the table, he’d either jump on top of it or crawl underneath it. So I was kind of looking for that in the auditions. For Sid, it was more the rigidness, and the stature and just this feeling. SS: Tom [Blyth, who plays Sid] and Richard [Mason, who plays Scott] worked with us for about 7-8 months before the film got greenlit, and then about 4-5 weeks before we started filming we actually got them in for rehearsals and I think that was really important, because they got to live with me and Scott and it really solidified their friendship off-screen. What advice would you give to other aspiring filmmakers? SS: Whatever story you decide to do, it has to be something that you’re totally passionate about. One that you’re willing to run through a wall for. I think that our story was one that we felt needed to be told. And, although we make it sound simple, it really is just a case of a lot of hard work. It’s blood, sweat and tears. You need to be willing to take the hits and face the rejection because you believe in it so strongly. You can learn more about the film at www.scottandsid.com and download Scott and Sid now from iTunes.